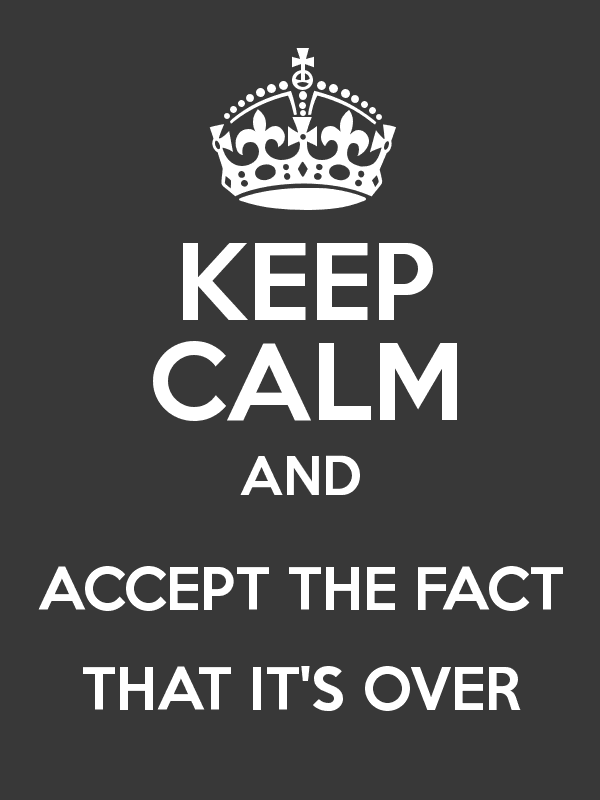 The British Gazette » It’s over. When I arrived in the St. Ives constituency on Sunday 9th February 2014, I had already made contact with the local UKIP people. The Branch Chairman was Stuart Guppy. Shortly after arriving in Cornwall I met up with the local “Ukippers” and joined UKIP. I did not join the party whilst I was in Leeds as I knew that if membership is taken out at branch level, the local branch gets to keep the membership fee. My reason for joining UKIP was to meet like or similar minded people, for although I did have friends in the area, it is important when moving into a new area to make new friends and social contacts. This more than any expectation of seeing a UKIP MP returned was the reason for joining and becoming involved. For the same reason (meeting people) I began to attend church services regularly. Being involved with the politics of my new surroundings I quickly discovered that if UKIP wanted to replace the incumbent MP at that time – Liberal Democrat, Andrew George – they would have a mountain to climb not only because they would have to displace the Tory candidate who to accepted wisdom was the most likely challenger they would have to overcome the significant personal vote built up by Andrew George himself over the time (since 1979) he had been the area’s MP. I quickly learned that far from being a party line towing muppet, Andrew George was actually a rather good fellow and did a good job representing the interests of his constituents in Parliament. It was just a shame that he felt that subordinating Her Majesty’s government to foreign rule was not that much of a bad idea! It therefore came as no surprise to me and my colleagues in UKIP St Ives branch when Andrew George organised first a Q&A on the issue of the EU and then later another Q&A at the same venue – the Union Hotel in Penzance – inviting Bob Smith David Lucas to put the Brexit case whilst he and former MEP Graham Watson put the Remain case. That second meeting was held on the evening of Wednesday 15th June, 2016. On the eve of the awful and historic events of the next day. The evening was a lively affair! Largely due to the audience that was essentially composed of Liberal Democrat activists and UKIP activists! Think sodium bicarbonate and vinegar Dear Reader! Now the Reader will note that this organ has commented upon the seeming popularity of scoring “own goals” during this referendum campaign. Well, the audience (Lib-Dems and Ukippers) and the three other speakers were somewhat surprised and taken aback when Andrew George made a frank and candid admission: he announced (this after 9:00PM on the 15th June) that in his opinion the Leave campaign had won and Remain had lost. He then began to chastise the Leave campaign as being a most dishonest campaign. Naturally he did not mention the Chameleon’s agreement that never was and the Chameleon’s dishonesty in claiming this non agreement was an agreement and was legal binding! 2. As a kindness to Andrew George. As previously stated, he is a decent fellow who had done a lot for the constituency and your Editor decided not to because of this. Now it is a very presumptuous thing for anyone to ascribe thoughts or opinions to others but on this occasion your Editor feels fairly confident that by now (Sunday afternoon) Andrew George will have revised (correctly) his assessment of the chances of his side’s success. Either he will, or should, realise that the probability now is that the Remain camp will win. He will also no the reason why: the assassination of Mrs “Jo” Cox less than twenty four hours after he had made the aforementioned statement. And there is one thing we do know for certain: Andrew George did not want “Remain” to win in such awful circumstances. British Gazette readers will of course know that in our articles since “Jo” Cox’s assassination we have expressed a view that encompassed a possibility of success. Privately your Editor took a similar view to one expressed by one of our regular contributors to our Comments section, Jack Ketch who is of the opinion that we (Brexiteers) have lost due to the revulsion voters feel about Mrs Cox’s assassination and out of a feeling of respect and solidarity to Jo Cox and all that she stood (and died) for. Today, Sunday 19th June is the start of a new week and as a result a change in policy: the British Gazette is going to regard the EU referendum campaign as being over and done with and lost. It died with the much admired and loved Mrs “Jo” Cox MP for Batley and Spen. Instead we will be turning our attention to the assassination of Mrs Cox. We are of course on dicey ground here as Mair has been charged with murder and other serious offences. There are therefore legal restrictions on what can be published. The British Gazette will therefore use what has already been published with a degree of circumspection. Mair purchased a gun-making manual and Nazi literature from a far-right neo-Nazi group. The Southern Poverty Law Centre, an established US civil rights group, has produced receipts and invoices bearing Mair’s name that it says are from the neo-Nazi National Alliance group. The receipts suggest Mair bought $670 USD in printed material from the white supremacist group, which was until 2013 was one of the largest neo-Nazi organisations in the US. He appears to have purchased a handbook on building improvised weapons, explosives, and incendiaries, according to the records. In addition, the receipts suggest the purchase of Ich Kampfe, a handbook written by Adolf Hitler formerly given to all Nazi Party members. The text of that book was drawn up by leaders of paramilitary organisations within the Nazi machine – including the infamous SS and SA – and describes their actions and methods. The receipt documents, which date from between 1999 and 2003 show Mr Mair’s name and an address in Batley, in Mrs Cox’s constituency. Mair may have also had links to the “Springbok Club”, an organisation which has defended the white supremacist apartheid regime in South Africa. Presumably, the police – and we understand that the counter terrorism specialists are handling this case – will have searched Mair’s home and any computer/s he may have for details of others who may have been in association or known to him or otherwise may have had dealings with. Eyewitness accounts from the murder scene paint a confused picture of events, with some reports suggesting Mrs Cox intervened in a fight between two men. Others say she was directly targeted by her attacker. Far from being uncommon, conflicting and often contradictory witness statements are common at crime scenes. Different people have different perceptions, were in different places and have different memories. In fact, any police officer will tell you that when they get a high degree of corroboration in witness statements the police will often suspect collusion. Nevertheless this does raise the question: was Mair having an altercation with another person and if so, have the police found the identity of this person and have ascertained the nature of the altercation? We also know that Mair “kept himself to himself”, lived alone and had a history of mental health problems. We also know that Mair visited a “well being centre” the day before the assassination and was in a disturbed state. Clearly he did not disclose any violent intentions for the authorities were not altered. We now turn our attention to the handling of the case by the police and the CPS. Mair’s case is being dealt with by the Crown Prosecution Service’s Special Crimes Counter Terrorism Division and has been transferred to London because of its “special nature”. He has a further bail hearing at the Central Criminal Court, the Old Bailey tomorrow. Presumably we can expect further outbursts. This raises a particular question about the procedure in this case: Why has such a short time been scheduled between Mair’s first appearance at Westminster magistrates on Saturday and his second at the Central Criminal court on Monday? In these times where some members of the police and CPS appear to be increasingly political, we hope that the reasons do not include availing Mair of another opportunity to make a widely reported verbal contribution to the referendum campaign! If such as a normal period of time between magistrates court and crown court bail hearing – seven days or so and Mair had been arraigned on say Friday, 24th, the voting would have been over.